Ash Crown Cut is a well known wood. It is light and hard and also has a light brown colour. When it is Crown Cut, it shows a beautiful and classical pattern of natural wood that remembers to Oak or Chestnut wood. 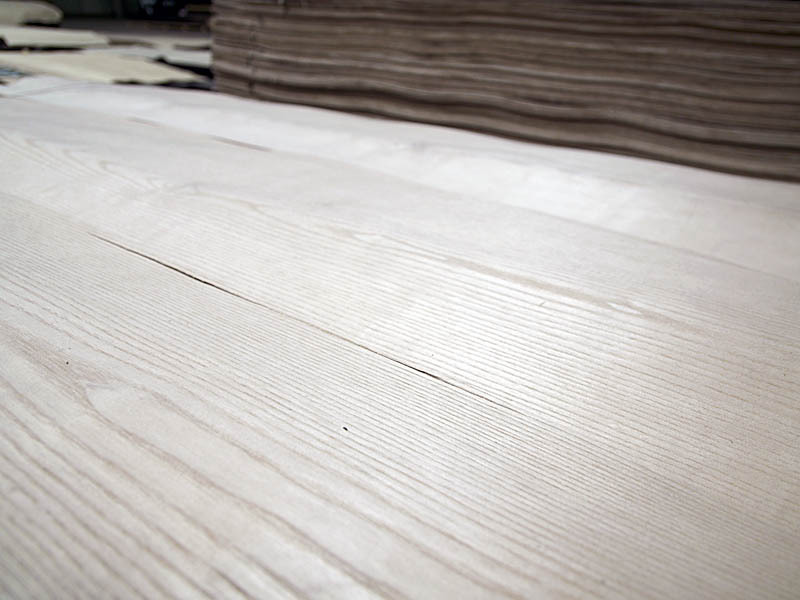 Ash solid timber is also easy to find in order to be combined with the veneer. This makes possible to design and to build with big freedom making use of either timber or veneer when it is required. The Crown Cut Ash veneer is suitable for almost any decorative use. Its natural look and light colour make it possible to use it both in domestic interiors as well as in public spaces. 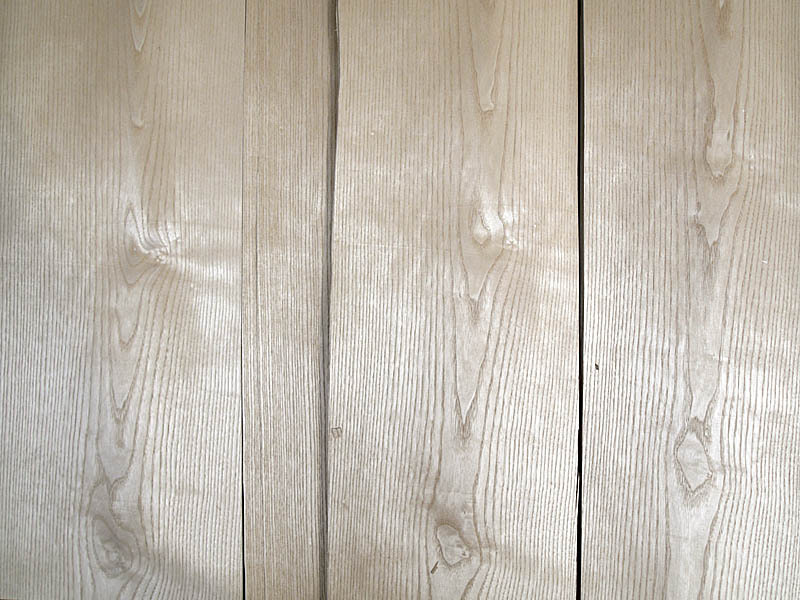 Due to its light colour, Ash is easy to be darkened to fit any desired tone. This natural wood surface is also easy to combine with other species such as Chesnut and Oak. The best Ash Crown Cut veneers the result from a careful selection of the logs. 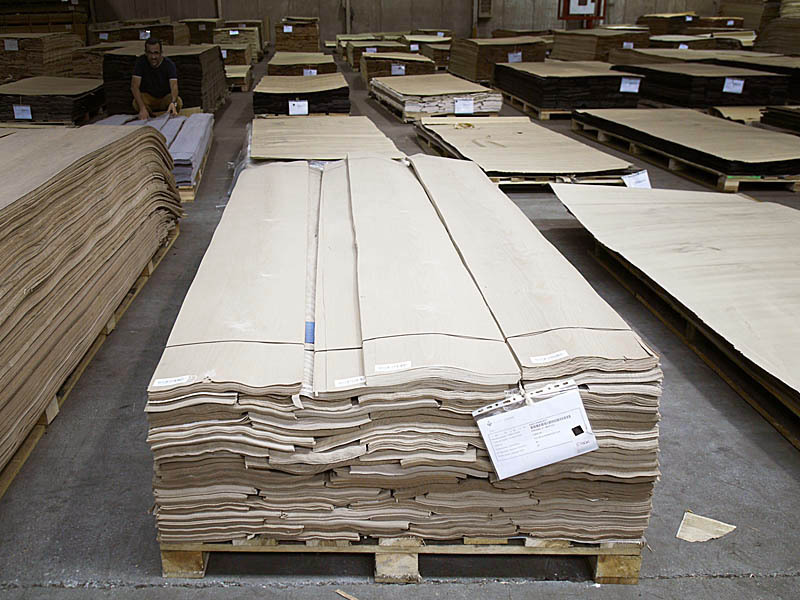 To produce the best quality of wood veneer, straight trunks with large diameters are selected. The raw material should be also free of any kind of defects such as knots or cracks. Also the way in which the trunk is cut contributes to the quality and ultimate beauty of the veneer. For that reason the Quarter Cut is used, as it helps to give the most expressive and delicate figure to the final wood surface. As shown in the pictures above, CHANNEL VENEERS selects the best logs of Ash Crown Cut. This makes possible to provide wide bundles in full lengths, most of them over 3.10 meters. The veneer of Ash Crown Cut is a product that fits to many different decorative purposes. Therefore, the company usually offers different bundle sizes and qualities. Please, Don’t hesitte to contact directly if you are looking for a certain amount or an special quality of this product.